Often times people don’t take action to have their roof inspected until a major issue arises, or they buy a new home. While these are both great reasons to have your roof inspected, it’s important to note that regular roof maintenance is in your best interest. Let’s take a look at a few reasons why you should have your roof inspected regularly. It’s Not Cold Enough, Again. One common reason your roof should be inspected is due to the frequency you or others have been on your roof. If you have ever had your A/C break, there have likely been maintenance people on your roof. Any time wear and tear happens, especially from repeated repairs, your roof undergoes stress that can wear away the strength of it. If not inspected regularly, there can be minor issues that can turn into major issues, costing you more money and time. 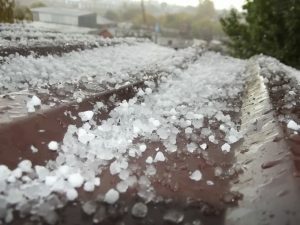 Repetitive exposure to the elements such as rain, snow, ice, sun/heat, hail and high winds can cause a lot of issues with your roof. While most of this wear and tear is visible, you’ll want to have an inspection. As roofs age, it’s normal for them to have wear and tear. It’s likely that through the aging of your roof, holes or openings will occur. The biggest, and potentially most expensive problem to have, is water damage. Identifying any of these issues early on is the most effective way to prevent yourself from a large expense due to negligence. 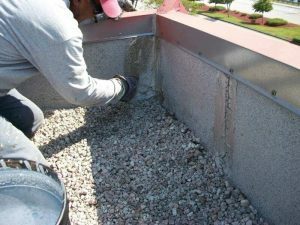 One of the best reasons to get your roof inspected regularly is, drum roll, to extend it’s life! Because professionals are trained to identify potential issues early on, you are able to make minor fixes as opposed to major repairs or entire roof replacements. Taking routine care of your roof will help maintain its strength and integrity. If it has been a while since your last inspection, or if there has been a major storm, call A&H Forensic Roofing. We offer free inspections with a comprehensive report you are able to understand, while also giving you any solutions to problems we may detect. At A&H, we understand the engineering side of roofs and put customer service at the top of our priorities. Our relationship with our customers won’t begin until after the job is done. For a trustworthy company you can count on, choose A&H Forensic Roofing, we have you covered.